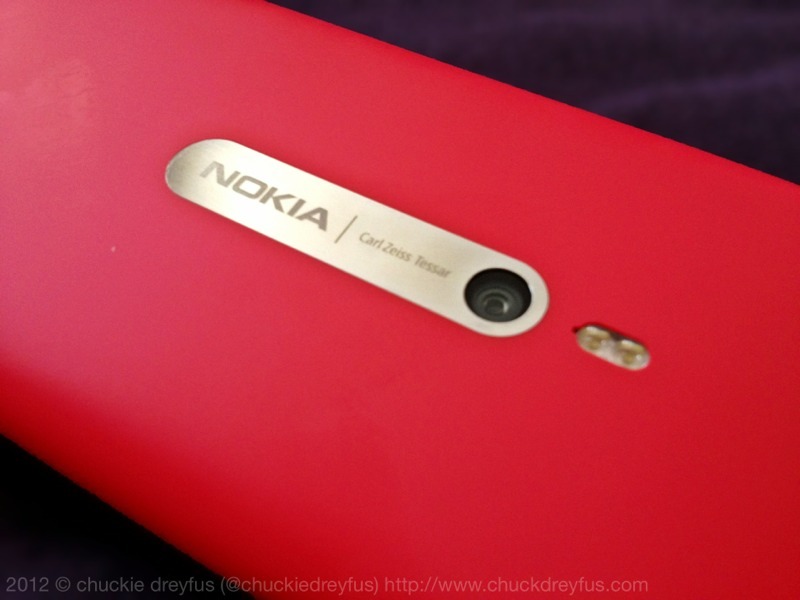 Lovely Lumia 800 - All Chucked Up! 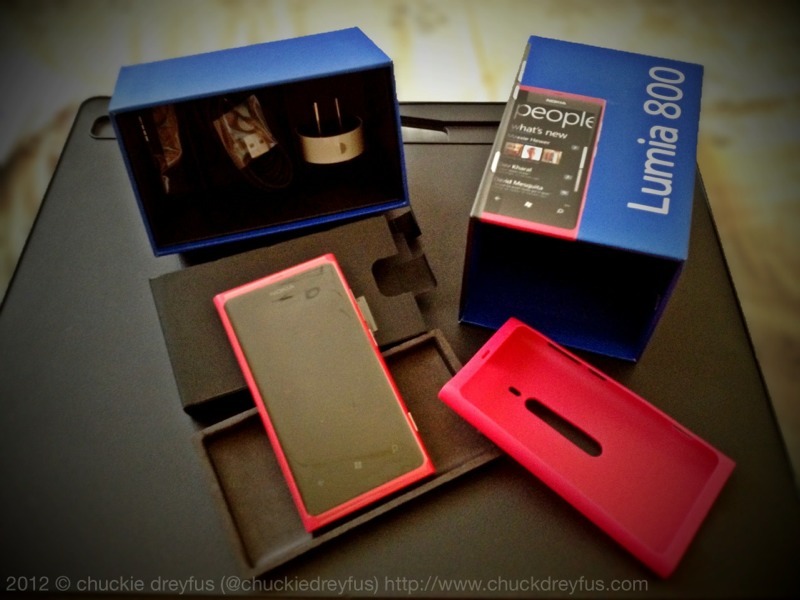 A few days ago, the sleek lookin’ Nokia Lumia 800 arrived at my doorstep courtesy of Globe Telecom (Thank you very much, Globe!). I can finally review this much talked about device that most critics call “the first REAL Windows Phone”. Keep in mind that I will NOT delve into the technical details too much but will concentrate on user experience and performance instead since this aspect is what truly matters for most common consumers. Giddy and excited, I opened the box, unwrapped the Lumia 800’s protective packaging, switched it on and started dabbling with its UI (user interface). Given that I am an iPhone 4S user, I’ve had reservations… I didn’t want to raise my expectations and eventually be let down in case the device didn’t live up to its hype. But Globe’s Nokia Lumia 800 didn’t disappoint at all. Even by just briefly holding the device and trying out its very responsive touchscreen, you’ll immediately know that the Nokia Lumia 800 is a keeper. The handsomely-designed smartphone immediately reacts to swipes and touches just like an iPhone. Most devices belonging to the Lumia 800’s price range cannot boast of the same spiffiness. Its contour and curved Corning Gorilla Glass makes it an immediate eye-candy which fits perfectly on the palm of your hand. This is nothing like the Nokia phones of old (and that’s actually a good thing). You will notice off-hand that the microsim slot is positioned at the top of the phone together with the microUSB 2.0 socket. Since I didn’t have an extra microsim, I relied on Wifi for the time being. Nevertheless, the user experience is still amazing even when running the device for the first time sans a microsim. I was afraid that being accustomed to using an iOS device would increase the learning curve on mastering Globe’s Nokia Lumia 800… But the interface is pretty straightforward and will not intimidate even those who aren’t too techie. Windows’ “tiles” display is really a delight to the eyes as well as user experience. You can customize your homescreen, adding personalized tiles and shortcuts as well. 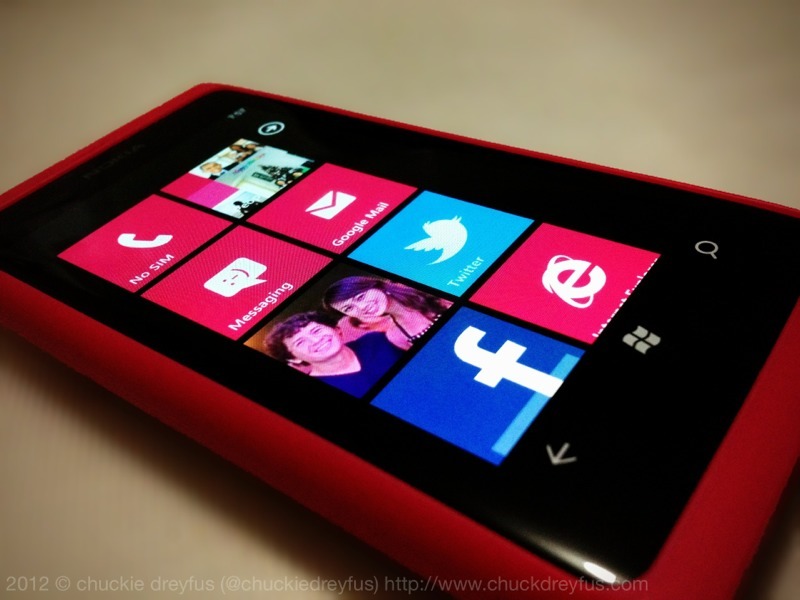 If you connect your Facebook account to the Nokia Lumia 800, the smartphone syncs all your friends from the social networking site to your contacts tile including their respective profile pics. Cool! The camera at the back of the Lumia 800 sports an 8-Megapixel Carl Zeiss lens capable of taking really sharp pictures. It even has settings which enable the device to shoot macro images. The camera can be accessed anytime via its dedicated button located at the side of the smartphone – the same button used for taking pictures. Its camera is also capable of capturing 720p resolution video and playback is smooth. Not bad at all. 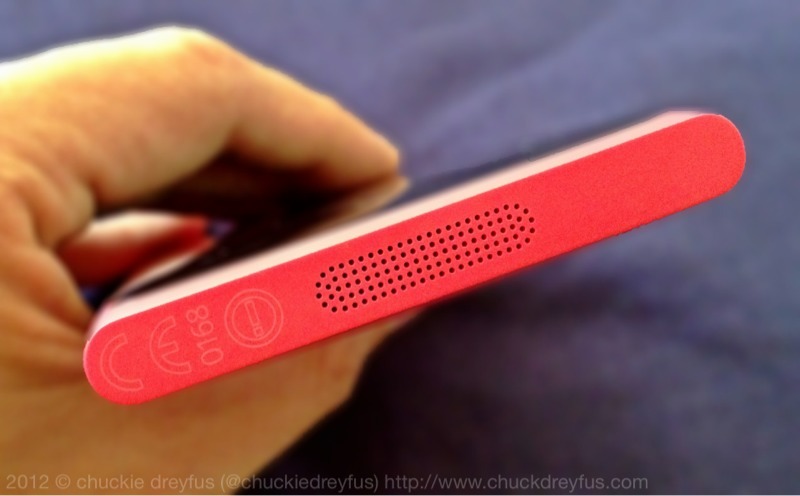 Globe’s Nokia Lumia 800 has its speaker positioned at the bottom of the device. Audio is crisp and clear. Mp3/Wav ringtones and notification alerts sound pleasantly sweet and full. Thankfully, this baby sports the standard 3.5mm headphone jack so you can use your preferred headphone brand/model with it. It has a music player that can easily match up with the best of ’em. ID3 tags as well as Cover Art are supported. It also has a built-in Radio (it uses the headphone cable as antenna) and the device is podcast-capable! Yay! 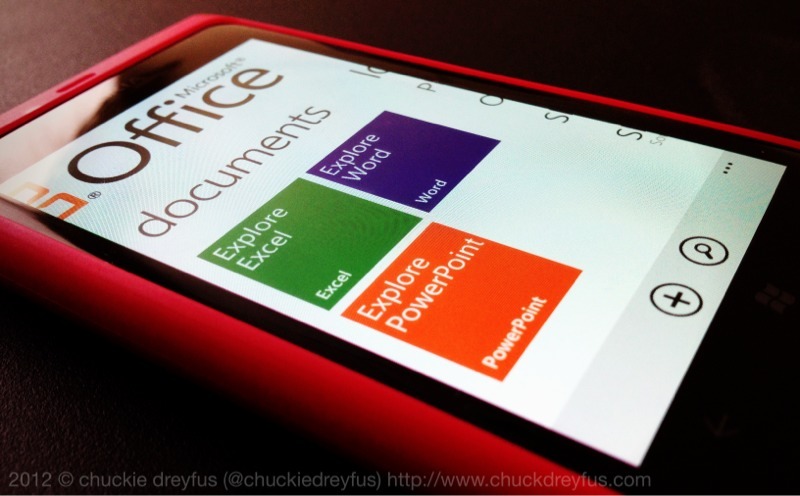 The Nokia Lumia 800 comes with Microsoft Office (Word, Excel, Powerpoint and OneNote). You can access documents locally, online or even those stored via SkyDrive. Sweet. 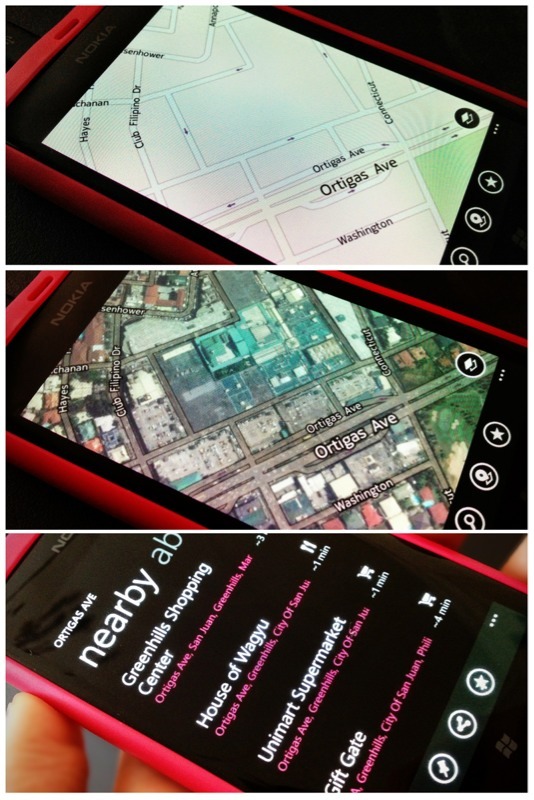 Another feature the Lumia 800 boasts is its Nokia Maps application. Very impressive, me thinks. A variation of layer views (map, satellite, public transport & traffic) as well as a capability to search for nearby places/establishments. For those wondering if they can use the Nokia Lumia 800 with handsfree devices, you’ll be pleased to know that the phone has standard Bluetooth (2.1) capability. Sorry, you won’t find an external memory card slot on this device but its built-in 16GB memory is more than enough for those who love to install tons of apps and games as well as for photo enthusiasts. The Lumia 800’s Marketplace has a whole slew of apps readily available. Even a huge number of them already ported to Windows Mobile from iOS and Android. 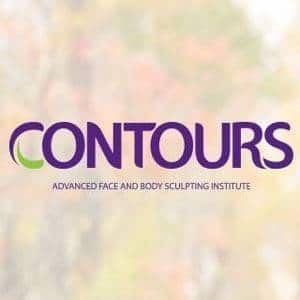 You won’t be left out when using this beauty. Tones and wallpapers are customizable. Battery is non-removable. The package includes headphones, charger and data cable. 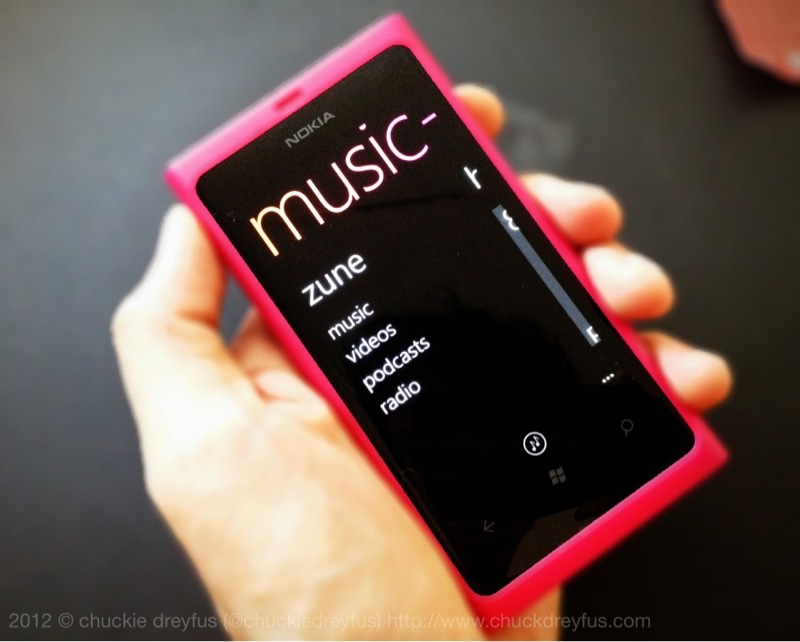 You must install the Zune application on your workstation or laptop and connect your device to it in order to backup or update the Nokia Lumia 800’s OS software version. Overall, Globe’s Nokia Lumia 800 is a beauty to behold. 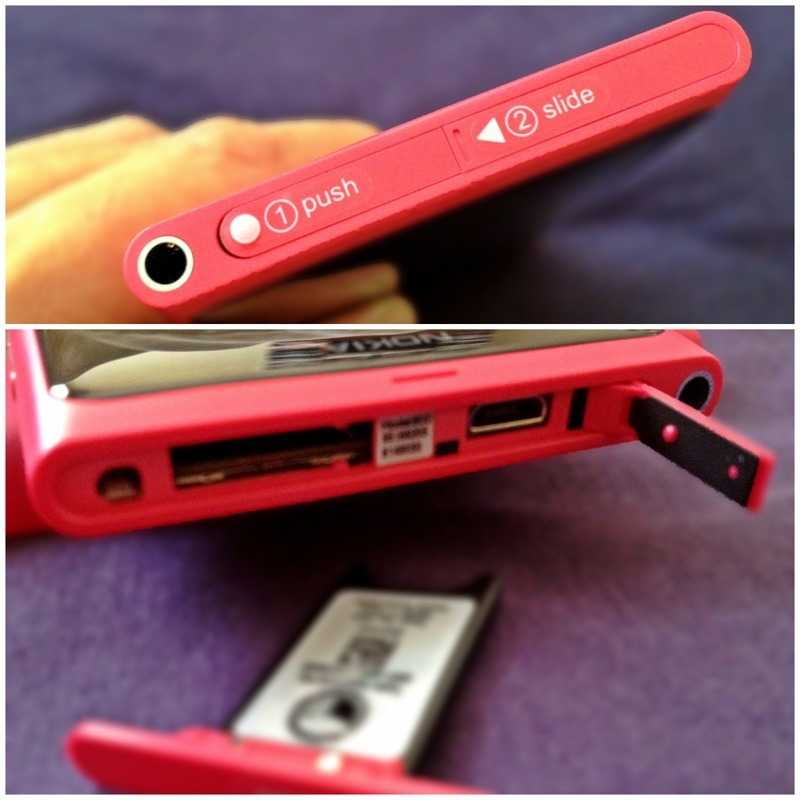 Most of my friends who have held this device are pleasantly surprised with how it performs. In terms of responsiveness and speed, the Globe Nokia Lumia 800 will smoke most, if not all devices in its price range (and most likely a huge number of smartphones beyond it). 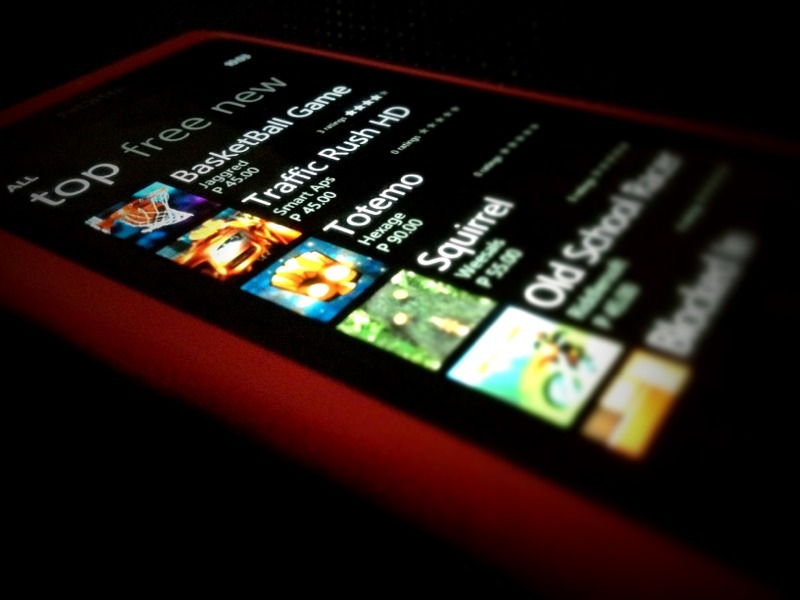 If you’re looking for one that performs fast, looks sleek and sports a straightforward clutter-free interface, go to your nearest Globe center and try a Nokia Lumia 800 yourself. This baby can definitely mix it up and go head-to-head with the big boys. sir chuckie, i wanna try ur hairstyle. 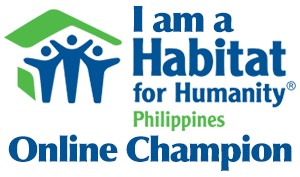 i hope you'll help me. It's free if you subscribe to Globe's Unlisurf Combo 1799. Not bad at all. Very good unit. Nokia Drive is quite a wonder to have, you can just download the philiippine roadmap, turn on the gps and let the phone do the talking. being free for the 1800 Globe plan is quite something. I agree. Quite a steal considering how affordable the 1799 plan Globe is. The problem with the Lumia is that these models aren’t upgradable to Windows 8. It’s like Windows killed their own phone.